"The GRI is unique in Brazil. I don't know an equal relationship platform. I consider it an excellent program and recommend it to everyone. I've been participating since a few years ago, I exchange ideas with old acquaintances and new players. It's an opportunity to take the pulse of the market and reconnect". On March 2019, the GRI will hold the 5th edition of GRI Offices Brazil, in Sao Paulo. The event will bring together the main decision makers of the sector, including investors, developers, banks, in an environment propitious for networking. GRI will hold not only discussions but also matchmaking rounds, where we gather, in a reserved environment, potential business partners who will be identified by our matchmaking app through an advanced algorithm capable of crossovering information. Fernanda Rosalem is a Real Estate Director at Patria Investimentos. Before joining Patria, Ms. Rosalem was a Managing Partner at RBR Asset Management, an independent real estate investment firm. Prior to that, Mr. Rosalem was a Capital Markets Director at Cushman & Wakefield. From 2007 to 2011, Fernanda was a senior manager at Brazilian Capital, being responsible for analyzing opportunities and structuring real estate funds. Ms. Rosalem holds a BA in business administration from EAESP – Fundação Getúlio Vargas and a Master's Degree in Finance from Fundação Dom Cabral. Former president and CEO for Cade from 1996 to 2000 and Sabesp from 2007 until 2011. In addition, he was the Interim Secretariat of economic monitoring of the Ministry of Finance and Deputy Secretary of the Economic Policy of the Treasury Ministry. Currently, Gesner is Partner of GO Associados and an Economics professor at FGV (Fundação Getulio Vargas). He attained his PhD in economics from the University of California- Berkeley and was the recipient of the Economist of the Year Award in 2016. Investimentos em 2019 – Momento de aquisições ou greenfield? FIIs Corporativos – Alternativa de investimentos para 2019? Senior real estate development and investment management professional with more than 20 years of successful experience comprising Real Estate Development/Project Management, Strategic Planning, Operations, Business Development, Sales, Investment Analysis and Financial Management. Currently Senior Director and member of the Senior Management at Hines Brazil. Ricardo Betancourt directs all strategic operations of Colliers in Brazil, with offices in São Paulo, Campinas, Rio de Janeiro, Recife and Fortaleza, with more than 200 employees under his command. On joining the industry in 1992, Betancourt is specialized in Brazilian industrial market, serving multinational corporations and investment firms, such as DHL, Clarion, and Unilever, across the country. Since the purchase of Becorp Cons. Imobiliária by Colliers (1997), Ricardo Betancourt is recognized as the leading industrial real estate expert in São Paulo. First CCIM (Certified Commercial Investment Member) professional in Brazil, Betancourt assumed the position of President in 2002. Andre is the CEO and CIO of Hedge Investments, an Asset Management Company founded in 2015 that manages Real Estate Investment Funds (FII), Private Equity (FIP), Hedge Funds (FIM) and managed accounts for institutional investors. Previously, he was a co-founder and senior partner of Hedging-Griffo, from 1983 to 2006, and an MD at Credit Suisse Hedging-Griffo from 2007 to 2016. He is also the chairman of the Real Estate Consulting Committee at B3 and a member of the Real Estate Financial Products Committee at ANBIMA. São Paulo & Rio de Janeiro – Como esses mercados reagirão? Locatários e proprietários – Como equilibrar os interesses? 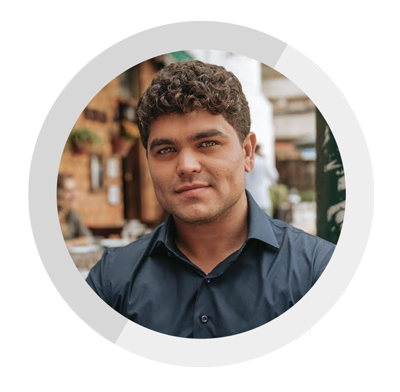 Paulo Millen is a Director of Asset Management at GTIS, and is responsible for office development and asset management in Brazil. Mr. Millen’s experience in the real estate industry began in 2005, specializing in construction and development of residential, commercial and mixed-use projects in Brazil. Prior to joining GTIS, Mr. Millen was a Development and Sales Manager focused on marketing and sales strategy at Lindencorp, a major São Paulo-based development and investment firm. Prior to Lindencorp, Mr. Millen was responsible for project approvals at CIPASA, a major land developer in São Paulo. Mr. Millen received a Civil Engineering degree from Fundação Armando Alvares Penteado (FAAP). Fernanda is a lawyer and works with real estate operations, with special emphasis on acquisitions, leases, and real estate due diligences aimed at analyzing the chain of ownership and risks that may affect the properties’ purchase, and with the development of strategies to overcome risks and to reduce possibilities of inquiries regarding the buyer’s title for acquisition. She has been praised for her publications in the field, her availability to clients and for presenting creative and consistent solutions during negotiations. She is currently attending a Master’s Degree in Urban Law at Pontifícia Universidade Católica of São Paulo (PUC-SP). Thiago Santana é Engenheiro Civil, MBA em Gestão de Negócios pela FGV e possui diversas especializações profissionais, incluindo a Universidade Disney e a titulação de Certified Outsourcing Professional pela IAOP. Atua há 20 anos no mercado de Facilities, tendo ocupado posições de direção em diversas empresas do setor, com experiência em projetos nos EUA e Europa. Nos últimos cinco anos foi Diretor Regional LATAM de uma multinacional do segmento, responsável por operações em 12 países da região. Em 2019 assumiu um mandato de dois anos como Presidente da ABRAFAC – Associação Brasileira de Facilities. Thiago é casado e possui dois filhos. Sérgio Athié é sócio fundador da Athié | Wohnrath, um dos principais escritórios de arquitetura no Brasil, o que lhe permite gerar diferentes soluções, tornando a empresa uma das mais completas na gestão de processos do mercado. Inovações tecnológicas: O que é de fato inovador em 2019? Graduated in Social Communication (Advertising and Propaganda) from PUC-SP, with an MBA in Marketing from ESPM and a specialization in Digital Marketing from ESPM. Entrepreneur since the beginning of his career, created several digital marketing agencies and in 2002 he founded K2 MKT (Advertising and Marketing Agency), which served brands such as Le Creuset, TAG Heuer, Oticas DAX and Grupo Souza Lima. He also created the K2 Publishing Company, specialized in corporate publications (books and magazines). Between 2010 and 2014 he was Chief Editor of Magazines such as SAX Magazine, DAX and Pink. In January 2015 he took over the Marketing department of Grupo Souza Lima and in 2016 he also took over the Commercial Department. Priscila is a Managing Director based em São Paulo office.She leads the Gas and Water Distribution Industry for Brazil and Latin America. Also Quality Lead for Accenture Resources in Latin America.Women Program Sponsor for Resources Industry. Priscila has over 14 years experience in business and technology consulting, leading complex transformation programs for large corporations, with emphasis in the Resources Industry (Vale, Grupo Ultra, Gerdau, Sabesp, Comgas, AEGEA, among others) aside of P&L control over US150 M portfolio. Tallis Gomes é o fundador do Easy Taxi, o maior aplicativo de táxi do mundo que, sob sua gestão, foi expandido para 35 países em 4 continentes. Em 2017 a Easy Taxi fundiu-se com a Cabify, em uma das 3 mais importantes M&A de tecnologia na história brasileira. Listado pela Forbes 30 under 30, eleito em 2017 pelo MIT como o jovem empreendedor mais inovador mundo, na lista under 35, listado pela principal revista científica no Brasil como uma das 25 pessoas mais influentes na internet brasileira, Tallis também foi eleito Líder Jovem do Ano em 2016 pela Latin Trade Foundation em Miami. Em 2017, Tallis recebeu a medalha de JK, maior honraria dada à um cidadão Brasileiro, como Personalidade Brasileira do Ano em Tecnologia. Portfolio of real estate solutions around the world. IT'S Informov has been developing integrated Architecture and Engineering solutions for 26 years. It has innovated the market through the Turnkey Informov System, pioneer methodology that offers from the concept of architecture, technical projects, implementation of the work to the delivery of keys, all in a single contract. It acts in the implantation of interiors, retrofit and construction, in the segments of Office, Coworking, Centers of Innovation, Education, Hospitality, Health, Commercial, Retail, Food Service and Cultural Spaces. The farm of almost 200 years was the birthplace, in Guaxupé – Minas Gerais – Brazil, of Count Ribeiro do Valle. His traditional family, now in the sixth generation, keeps the natural beauty of the place, which has an ecological reserve, part of the Atlantic Forest, with countless species of birds and wild animals. These facts led to the implementation of rural tourism and brought notoriety to the site. The cultivation of coffee has highlighted the region in the commercial sphere, since Minas Gerais is the largest coffee producer state in Brazil. For Its prodigious coffee production, Minas Gerais is known worldwide as, by far, the heavyweight champion of the coffee-producing world. Its high altitude and average annual temperatures facilitate the production of full-bodied coffee with acid flavors, lightly citrus and fruity aromas.